One of the pioneering perfumes manufacturers in the Middle East has partnered with ETP International, a leading end-to-end retail solutions company, to implement the ETP V5.2 suite. 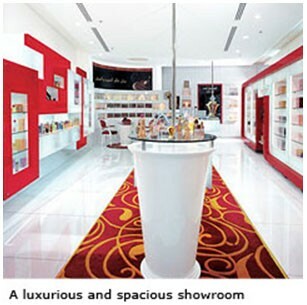 The perfumes group is a diversified perfumes manufacturing, distribution and retailing company. Established in 1974, it originally began its business operations with the marketing of the popular “Jannet el Firdaus” brand targeting Asian users. Over the years the company has diversified into serving various customer segments within the perfume industry. The firm distributes its products in more than 80 countries across five continents. In the Arabian Gulf, the group operates nearly 70 of its own retail stores. The stores are separated into two formats which target different end users; the value conscious and the luxury segment customers. 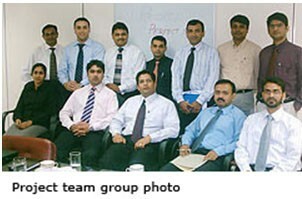 The Group has plans for rapidly expanding both these concepts across the Gulf region and beyond. “We are impressed with the integrated approach that ETP V5.2 has to offer. We have seen how the ETP V5.2 modules when used in combination, is an invaluable tool to any retail organisation. The scalability of the solution fits our criteria to have a tighter control over our retail operations as we continue to expand. It also allows us to have across the board visibility of our stocks which is important to our production and stock management. Another area that we are focusing on is improved customer relationship management. With the data captured and the proactive features of the solution, we can now effectively manage all our store promotions and reduce the rollout timeline for sales promotions,” said the director of the group. With the use of the ETP V5.2, the Group can expect to speed up the sales checkout process time, streamline and improve on stock management, implement a robust customer relationship management system, derive effective sales promotions with real-time data and execute such promotions with minimal hassle across all stores.